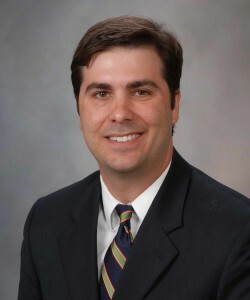 Richard Joseph, M.D., an oncologist specializing in melanoma at Mayo Clinic’s Florida campus, has been named the 2015 recipient of the “Doctor of the Year Award” presented by the Melanoma International Foundation (MIF). Founded in 2003, MIF is a non-profit organization whose vision is a future where top-notch melanoma treatment is accessible to all patients globally. Now in its tenth year, the annual award not only recognizes a physician involved in clinical research that is on the cutting edge of melanoma treatment, but who also exhibits a caring attitude towards his/her patients. Dr. Joseph is actively involved in multiple leading edge clinical trials for melanoma – one involving immunotherapy with an experimental drug MK-3475 that has shown promise in “taking the breaks off” the patient’s own immune system, allowing it to more effectively fight the cancer. Dr. Joseph also is the first physician at Mayo Clinic to utilize virus therapy (in this case the Oncolytic Herpes Virus) to treat aggressive melanomas in a clinical trial setting.